A report that a school in the town of Kunduz in northern Afghanistan was subjected to indiscriminate bombing by the so-called Western coalition came as no surprise to analysts who closely follow events unraveling in this Central Asian state. As it was announced by the Education Department Director of the Kunduz province, Janat Gul Nasiri, this latest air raid against Afghan civil infrastructure resulted in human victims. Reports about the mounting civilian death toll in Afghanistan due to the careless and outright criminal actions of the US and their allies appear in the media quite often. However, much less often do we hear the Pentagon admitting its responsibility for these attacks, and when it does it is belated. The US military command in Afghanistan waited for more than two months to come to the conclusion that a total of 33 civilians were killed by US warplanes in Kunduz province last November. At the same time, according to the representatives of the Pentagon, those responsible for the incident will not be held responsible for their actions. As a result, yet another war crime has been written off as self-defense or collateral damage. Among the string of similarly brutal incidents, the most well-known was the US strike on a hospital run by the Médecins Sans Frontières (MSF) in Kunduz province, which occurred in October 2015. Despite apologies from Washington presented to the Afghan side, its military brass still believes that a half-hour bombing raid was an “unintentional event” that doesn’t qualify as a war crime. At the beginning of the year The Intercept published a lengthy article straightforwardly titled “The Crimes of the SEAL Team 6.” The article tells little about the heroism or professionalism of the servicemen of the American special forces unit SEAL Team 6, which Hollywood and bestselling authors are so fond of. The Intercept took the courage to investigate the darker side of war – crimes that are being routinely committed by US servicemen. The investigation into SEAL Team 6 was conducted for two years and included 18 interviews with former and current soldiers and officers of the unit. The Intercept article is somewhat reminiscent of The New York Times piece on the same topic published back in 2015. No investigation of those barbaric practices of the SEAL Team 6 has ever been conducted, so no serviceman has ever received any form of official punishment for these offenses. The worst that has ever happened to soldiers engaged in such inhumane practices was a transfer to another unit without any measure preventing them from returning to SEAL Team 6. However, US servicemen are not the only ones to commit war crimes in Afghanistan as numerous journalistic investigations show. More recently, the Australian media corporation ABC (Australian Broadcasting Corporation), due to leakage of classified documents from the Ministry of Defense, has begun releasing scandalous facts about how operations of the Australian special forces in Afghanistan were conducted. A series of articles published under the title of “The Afghan Files” has triggered a massive scandal both in Australia and the UK. Judging by the documents, from 2009 to 2013, at least ten cases were reported when Australian special forces opened fire on unarmed Afghans, including children when they and their actions were verbally opposed. In April 2013, Australian special forces would cut off the hands of dead Taliban fighters for no practical reason, except as “trophies” to take back home. The scandal unfolded in 2013, but only now has become public due only to the leak of the above mentioned documents. The press and the Australian public seem to agree that these latest leaks shed light on the culture of impunity, recklessness, and outright disrespect to the lives of Afghans that are now common among Western special forces operatives. Moreover, according to a number of commentators, the environment of unpunished crimes, no matter how brutal they are, and the logic of “shoot first, ask questions later” that has been adopted by Western coalition forces, results only in ordinary Afghans supporting the Taliban and its cause more, solely due to the hatred provoked in them by the conduct of Western military forces. As allegations about the war crimes committed by American, British and Australian special forces begin to pile up, one starts questioning the overall effectiveness of punitive raids that have become a common practice for Western special forces units. After sixteen years of war in Afghanistan and hundreds, if not thousands, of such raids carried out by special forces, there is still no end in sight for Taliban activity. These raids fail to reduce the support this movement has been enjoying among the population, in fact, they’ve made the Taliban even more powerful. In 2002, the Taliban forces were believed to amount to seven thousand fighters, in 2016 the estimated number of militants fighting for its cause has surpassed twenty five thousand people. 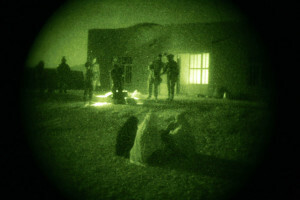 The continuous raids committed by Western special forces, in spite of the mounting death toll of the Afghan population, have not changed the course of the war. As the number of war crimes committed by the US and its allies across the Middle East and Central Asia continue to grow, one can only wonder if the criminals will ever be brought to justice? Jean Périer is an independent researcher and analyst and a renowned expert on the Near and Middle East, exclusively for the online magazine “New Eastern Outlook“.